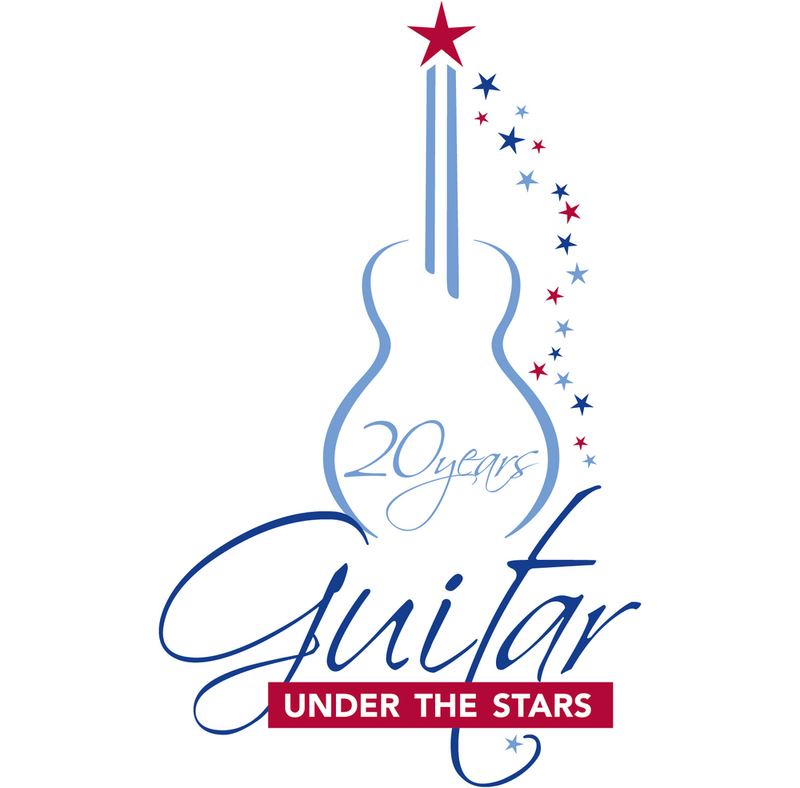 GUITAR UNDER THE STARS 25th anniversary celebration! TIME: 7:30 p.m., with pre-festival activities beginning at 4 p.m. Seating is first come first serve, and audience members are encouraged to bring lawn chairs/blanket. 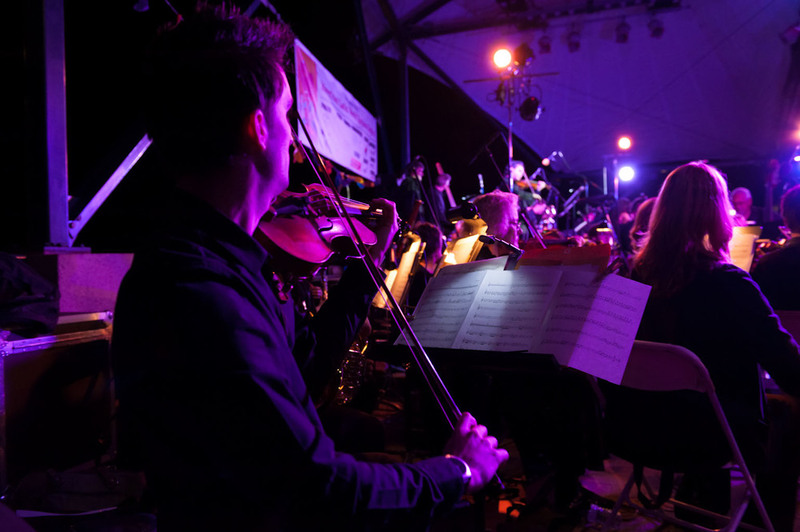 One of the year’s most anticipated musical celebrations, Guitar Under the Stars, returns to West Hartford – and this year there is even more to celebrate! Founder and acclaimed guitarist Daniel Salazar is proud to announce that 2018 will mark the 25th anniversary of what has become an annual end-of-summer tradition for music lovers of all ages. This large-scale outdoor concert, which combines Salazar’s bold and original compositions with his ensemble of international musicians, will be held on Saturday, Sept. 8, 2018 (rain date Sunday, Sept. 9, 2018) at 7:30 p.m., with pre-festival activities beginning at 4 p.m. on the University of Saint Joseph’s beautiful outdoor quad. Salazar founded Guitar Under the Stars in 1993 with a group of eager young musicians, performing on a portable trailer called the “Showmobile Stage” at the Hartford Riverfront for a small but enthusiastic audience. Salazar’s goal was to share his love for the guitar and the beautiful music it creates. 25 years later, Guitar Under the Stars is an ever-growing outdoor concert that draws audiences of thousands to hear Salazar’s original music and brilliant orchestral arrangements. This September Salazar will premiere new compositions and perform selections from his popular original repertoire that fuses Spanish guitar with Latin and World rhythms. 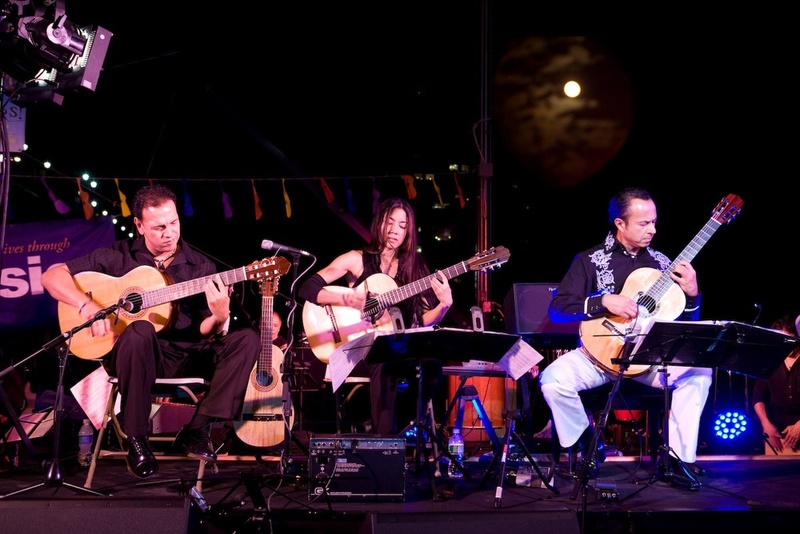 Guitar Under the Stars will include a remarkable array of artists: the Daniel Salazar Ensemble, Flamenco singer Alfonso Cid from Spain; and top players from Connecticut’s own Hartford Symphony Orchestra in a sensational, multicultural celebration of Spanish and Latin melodies and rhythms. “Guitar Under the Stars has become a major area tradition, now bringing thousands of music lovers to USJ’s idyllic campus for a magical evening of community, picnics and, of course, the stars,” says Autorino Center director Steven Raider Ginsburg. Admission is free of charge. Location is on the main Quad, University of Saint Joseph, 1678 Asylum Ave, West Hartford, 4-7pm Festival Activities, 7:30pm Performance. Audience is encouraged to bring their own lawn chairs or blankets. Questions? Contact the Frances Driscoll Box Office at 860.231.5555 or online at tickets.usj.edu. 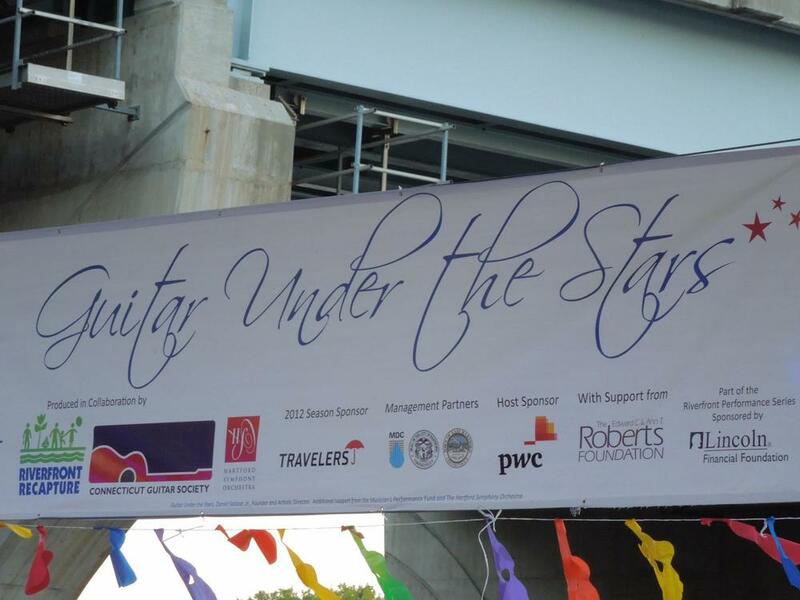 Guitar Under The Stars is made possible by the generous support from the Edward C. and Ann T. Roberts Foundation. Guitar Under The Stars 25th Anniversary Fundraiser! Since 1993, Daniel Salazar has been bringing his annual GUITAR UNDER THE STARS concert to Connecticut. On September 8th, this spectacular FREE event will mark its 25th Anniversary milestone! However, we need your help to make it all happen. Please join us on August 26 in East Hartford, CT for A PARTY to raisemuch-needed funds! Guitar Under The Stars has always been a FREE event that brings thousands of people together in a celebration of music and community. The money raised will go directly to pay for the fees of over 50 artists and technicians as well as production costs including outdoor stage equipment, printing sheet music and much more! 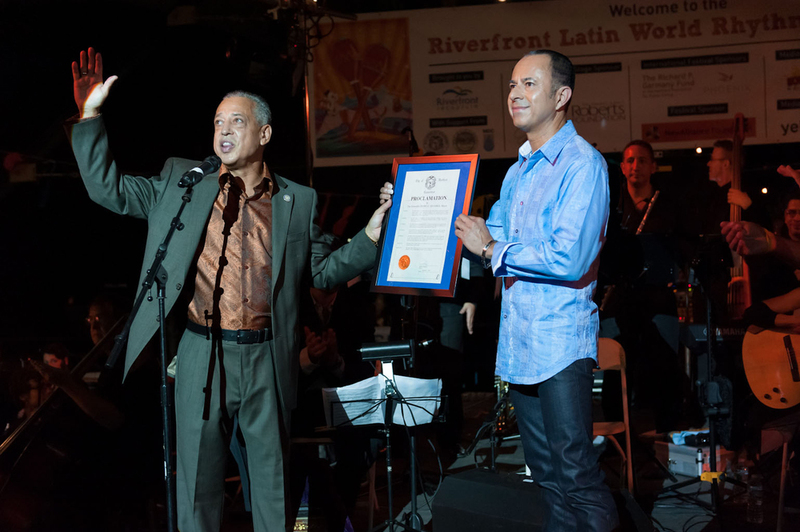 September 2013, Hartford, CT- Mayor Pedro Segarra proclaims "Daniel Salazar Day" in the City of Hartford. In his relentless quest to redefine his instrument’s boundaries and reach new audiences, Daniel Salazar has re-imagined the traditional classical concert experience, creating Guitar Under The Stars with the goal of sharing his musical vision with large audiences. 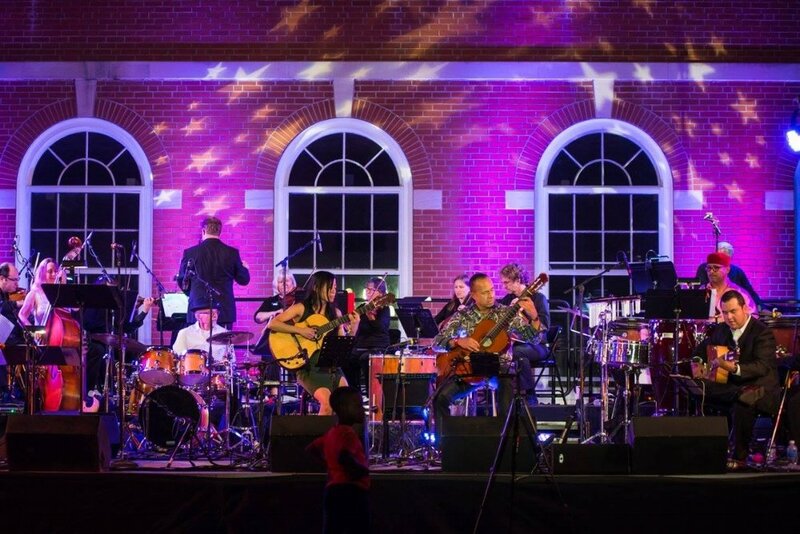 Founded in 1993, Guitar Under the Stars is a large-scale outdoor concert production that has been described as “A spectacular evening of Spanish, Classical and International music for guitar and orchestra”. The program features Daniel Salazar performing his original music and brilliant symphonic arrangements with his ensemble of international musicians and symphony orchestra. 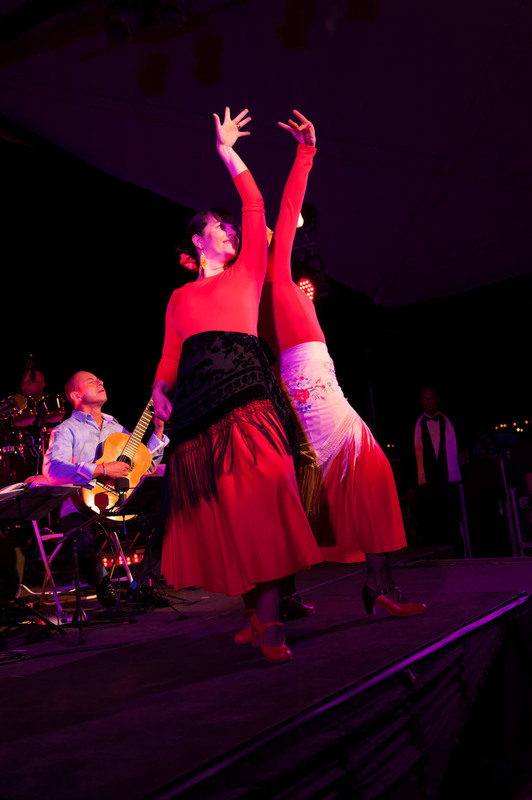 Guitar Under The Stars incorporates imaginative and bold programming such as an exciting reworking of Asturias by Albeniz, a rendition of the beautiful Adagio from Concierto De Aranjuez by Rodrigo, music by the Italian film composer Morriccone and Danza Ritual Del Fuego (Ritual Fire Dance) by Falla featuring Flamenco dancers. The exhilarating repertoire brings together these Spanish flamenco–inspired melodies and invigorating Latin rhythms with selections from Salazar's highly acclaimed repertoire of original compositions. 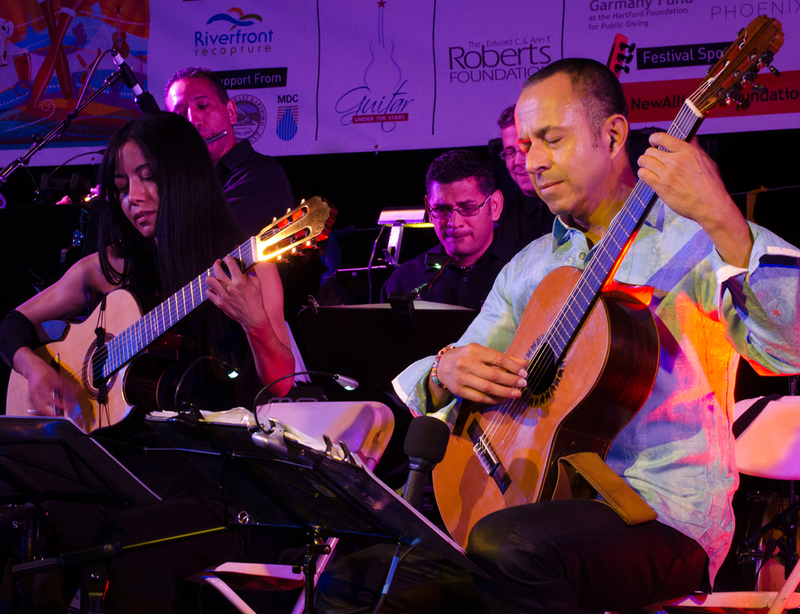 Highlighting the beautifully expressive sound of the Spanish classical guitar, the music also incorporates an eclectic blend of orchestral instruments with traditional South American instruments such as zampoña, quena, charango and a full array of Latin percussion. 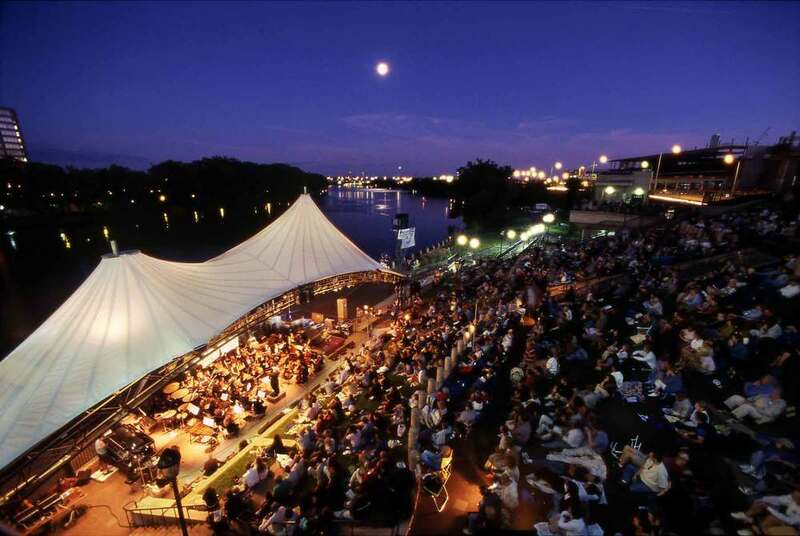 Guitar Under The Stars has been presented annually in Hartford, Connecticut at the picturesque Mortensen Riverfront Plaza, drawing an audience of over three thousand concertgoers who come to enjoy the beautiful sound of Daniel Salazar’s music under the evening sky.